Surf Poncho - Don't get caught with your pants down! Our Surf Poncho makes it easy to change before/after you surf. Change faster, stay warmer, and most importantly: you don't have to worry about mooning the parking lot! 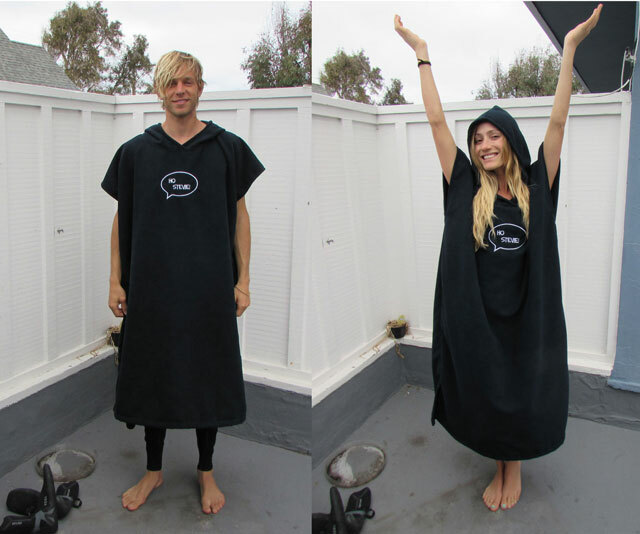 These Surf Ponchos are designed with extra length, to fit even the tallest people. Stevie, our founder, is 6'2" and he just wasn't satisfied with how other surf robes fit. Using a poncho that doesn't go past your knees defeats the whole purpose! Our ponchos provide 47 inches from shoulders to bottom of the robe... more than enough room to change without worrying about exposing yourself. Soft, thick microfiber material dries fast. Dries you off quickly and keeps you warm... no need for a separate towel! Low lint, so you won't get those annoying fuzzies on you after drying off. 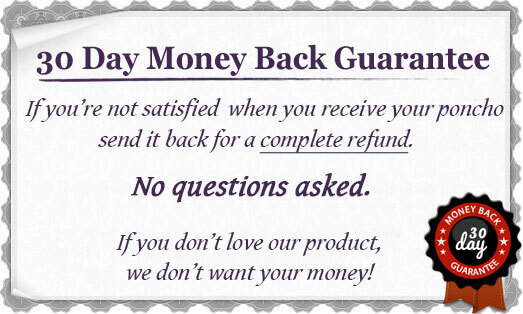 Makes changing easy, comfortable, and private.